The Highlander is a full fuselage EPP 3d bush plane, capable of very short take offs and landings. Its large control surfaces allow it to do many acrobatic maneuvers. The wire landing gear is nearly indestructible and with the large foam wheels the Highlander easily rolls over grass, payment, and dirt. 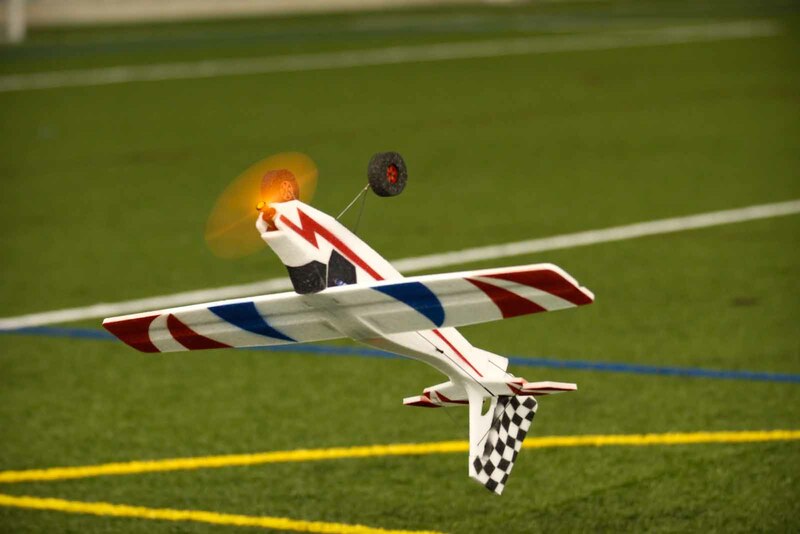 With its high 40" wing the Highlander also makes a great beginner plane. Each aileron is controlled by its own servo enabling flaperons and spoilerons. - Center of gravity is 2 1/4” from front edge of wing. 9mm laser cut EPP foam. 6mm carbon tube wing spar. 3mm carbon tube elevator spar. 1.5mm carbon control rods and tail trussing. Plywood horns, motor mount, wheel rims, and landing gear base. This was my first WMParkflyers kit, I love it's laser cut EPP construction and it's lightweight 3D performance. I highly recommend this fun, durable basher! It's fun to build, and it's the perfect park flyer! ...don't forget to buy the floats!